We’ve all heard of the group of islands off the west coast of Ecuador and its unique and diverse flora and fauna, so satisfying our curiosity one of the top reasons to visit the Galapagos Islands. We’ve seen it in National Geographic and the Discovery Channel and we have already associated this group of islands with Charles Darwin’s theory of evolution. Admit it. One of your top reasons to visit the Galapagos Islands is to see the unique bio diversity, but we can’t blame you. Walking around the jungles of the Galapagos Islands, or taking a cruise around the islands will give you the glimpse of Charles Darwin’s inspiration for formulating the theory of evolution. The islands are abundant with a diverse and often peculiar flora and fauna, from sun-loving tropical penguins to sea faring iguanas. Combine that with picturesque landscapes, and you have a once-in-a-lifetime tourist destination. While your friends are bragging about parties in the white sand beaches of Cancun or the Bahamas, you can impress them with stories of your adventure in the Galapagos Islands, where you have come face to face with some of the oddest creatures in the planet. The Galapagos Islands enjoy a warm, tropical climate all year round, even in January. So escape the cold winter blues and head to the equator for some sun, sea and surf in the Galapagos Islands. 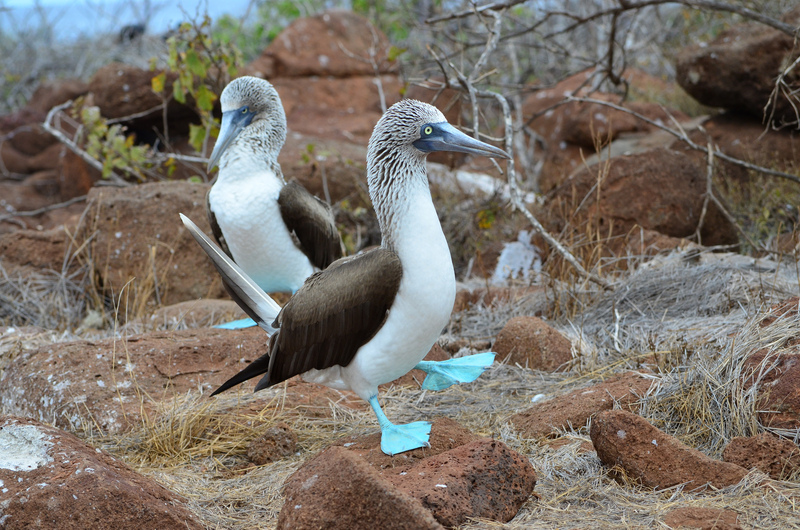 Local tour companies are committed to preserving the unspoiled beauty of the Galapagos Islands. The fees you pay when you take the cruise, or take advantage of the services offered around the island will go to the conservation efforts of the locals to keep the islands in its pristine state so the future generations will have a chance to catch a glimpse of this ecological wonder.